The Eterna comes in a package that is soft on the eye and yet visually attractive at the same time. It features a ‘window’ that allows you to view the IEMs without opening the box – a nice touch, but somewhat unnecessary in my opinion. In terms of accessories provided, Fischer Audio ship the Eterna with a cloth pouch (branded with the Fischer Audio logo), some over-the-ear cable guides (not featured in the picture), and three sets of tips – two silicon single-flange tips and a set of silicon bi-flange tips – pretty basic and simplistic, especially compared to the offerings from other brands. On removing them from the packaging I immediately noticed the build quality, the housing – whilst plastic – feels solid, the nozzles have metal filters, and there is more than enough cable relief. The cable itself is thick and feels durable, but does retain some memory properties – not enough to be irritating but certainly noticeable. The cable also features an in-line remote and microphone, housed in the same plastic. In terms of comfort, the drivers are quite sizeable compared to other IEMs (such as the E10s/PL50s/CX-range/VSonics offerings) but are, assuming you do not possess smaller ears, very comfortable over long periods of time, with the angled nozzle aiding this. This is the area the Eterna’s excel in. They have a ‘fun’ sound signature, with plenty of bass presence. A quick look at the frequency response graph for the Eterna will confirm this – but it will also highlight the warm mids and slightly laidback treble. These headphones are by no means bass-monsters; the bass is there, and in good quantities, but overall the Eterna has a sound that is easy to listen to, so utterly non-fatiguing, and a real pleasure to listen to. Its soundstage is forward, with good separation (a lot of IEMs can sound distinctly as if they are in your head, the Eternas are more like being 1-2 rows from the front of a gig). They possess good clarity and separation, and neither the bass nor the mid-bass get bogged down in fast flowing tracks, though in some heavily layered or very complex tracks there are moments when the clarity cant quite resolve the full picture. Bass: Warm, forward and deeply extending. Very little bleed into the midrange. Mids: Presence of a mild mid-bass hump warms the mids, they are engaging, smooth and sweet. Treble: Slightly rolled towards the top frequency, which can be noticeable in some tracks and genres. The treble is smooth, however and entirely non-fatiguing. 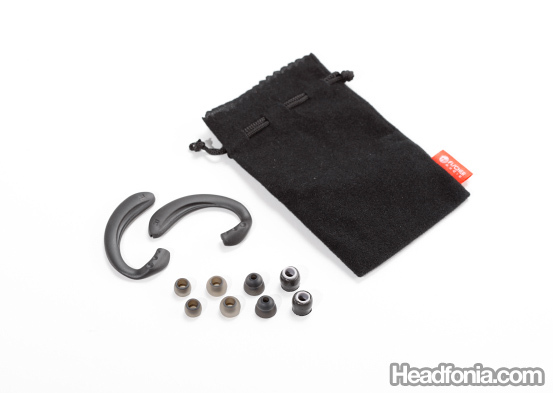 Isolation is good, they are excellent transport or gym phones – although isolation can be improved by changing the ear tips out for Comply Foam Tips or Shure Olives – neither of these impact the sound to my ears. These headphones are also easy to drive, I’ve had no issues powering them from a Moto G and they sound excellent through an mp3 player or DAP such as the Sansa Clip+. There isn’t much different at all under amping, you do see a slight increase in the power and clarity of the bass and sub-bass however. When In Manila and you seek for an earphone to accompany you date to day with both sub-woofer like impactful and deep bass that does not sacrifice much of the highs and mids of your music, then the first earphone that I can recommend you is non other than theFischer Audio Eterna. Fischer Audio is an audio brand hailing from Russia and currently has a distributor in the Philippines under Bluefish gadgets. The Fischer Audio brand has been around some time and they began to be known because of the Fischer Audio Eterna‘s impactful and deep bass while keeping ample clarity and detail. The Fischer Audio Eterna comes in a simple carton box with 5 pairs of earphone tips and a set of ear hooks. The Fischer Audio Eterna are meant to be worn over the ear, so if the cable kind of annoys you, you can option to have the ear hooks on the cables to keep them in place. The Fischer Audio Eterna also comes with a pouch with “Eterna” designed on to them. On the build of the Fischer Audio Eterna, it is made entirely of plastic and weighs average. They are quite big though, so people with small ears might have to adjust wearing them. They have big driver housings which makes me assume that they might have a larger than normal drivers to give that monstrous impactful and deep bass. With the Fischer Audio Eterna‘s cables, nothing special but they are built to last. The Y splitter at the middle of the cable is built like a high-end headphone’s because of how well restrained and built it is. Nearly impossible to break the cable from the middle split for sure. The 3.5mm jack is also well done since it the cable restrain is hard rubber and not just an easily bendable cable restrain, it is same with the cable restrains on the earphone housings as well, the cable restrains along the end of the earphone is of hard rubber. I had the chance to use the Fischer Audio Eterna with not just my iPhone, iPod and amps since I recently received the hisoundaudio RoCoo P which is an amazing portable player made specifically for hifi listening due to it’s clean and powerful A class internals. Plugging the Fischer Audio Eterna to the iPhone of course normally showed the very impactful and deep bass that it has. It is very punchy and goes down very deep! It does bleed into the midrange, but heck, this is just plain bass fun! Although running theFischer Audio Eterna on the iPhone and iPod somehow gave the mids a veil that sounded like there was a cloth covering the mids, there was still ample clarity. Having the Fischer Audio Eterna paired with the RoCoo P gave it much much more quality and bass resolve. It’s as if, veil and cloth covering the mids had lessened and the highs were more refined. The bass had more power and were extending more in a 3D way than just hitting from the back. The overall bass of the Fischer Audio Eterna is sheer raw power. It is very punchy and the sub-bass goes down really deep and does rumble, and yet retains quality and does not go too muddy or distorted sounding. So if you’re looking for an earphone that has powerful bass and yet has good clarity and presentation, the Fischer Audio Eterna certainly packs the needed punch. Fischer Audio Eterna is a dynamic driver in-ear-monitor marketed by Fischer Audio, a Russian headphones and earphones manufacturer, which has been pretty much under the radar outside Russia until just recently. I have been hearing good impressions and reviews about the Eterna, so I jumped on the opportunity when I was able to get one. The Eterna used to be Fischer Audio’s top of the line IEM, but they have since come up with newer IEM designs with more advanced drivers, which we hope to get our hands on soon. You can buy the Eterna itself for $60-$70 from the authorized dealers listed on Fischer Audio’s website. The Eterna comes with pretty basic accessories: a pair of ear hook, basic pouch, and a set of eartips. The ear hook is very useful to reduce microphonics but a little cumbersome to use. It will be nice if a simple shirt clip is also included for times when I don’t want to use the ear hooks. The included cloth pouch is also very basic, and doesn’t seem to provide much protection for the Eterna. This is a pity, since the Eterna doesn’t seem like a product that can take abuse. During my 2 months ownership of the Eterna, I found that while the materials are very nice in general, there have been few issues with build quality. The metal grills covering the drivers are shoddily glued, and the left rubber enclosure where the cable connects to the earpieces had come off. I guess for $70, I can’t complain too much. The eartips included with the Eterna are 2 pairs of silicon single-flange eartips and a pair of double-flange eartips. I tend to get the best seal and best sound with the double-flange tips, but they aren’t very comfortable, since to get a good seal with them, the big nozzle of the Eterna needs to be inserted quite deeply. For a much better comfort, I am using the modded Shure Black Foam Sleeves, also known as Shure Olives, which results in a slightly warmer sound. A friend has also tried the Eterna with the comply tips that comes with the Triple.fi, and they fit well. 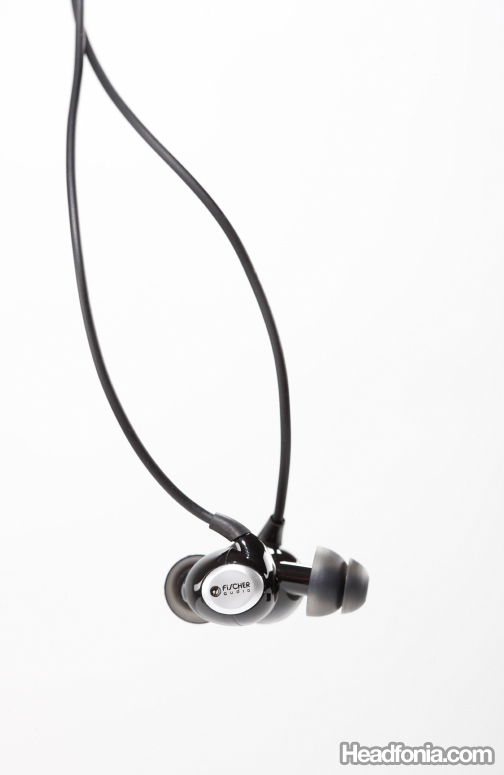 Note that the Eterna has to be worn over-the-ear like Westone IEMs or Shure SE530. A bit cumbersome, but I prefer the Eterna’s comfort over IEMs like Triple.fi and Etymotic ER4.